The organisation of WSKF (World Shotokan Karate-do Federation) in Australia follows along a very traditional path and our philosophy of training is simply to teach a high standard of technical karate, with a contemporary feel to it, but not to deviate from Shotokan principles. Our karate is not one of “instant gratification” that seems so prevalent in today’s world. We take a longer term view with our training and adhere closely to the philosophy of the international head of WSKF, Sensei Hitoshi Kasuyawho has brought our style of Shotokan closer to the original karate principles promulgated by the founder of Shotokan Karate, Sensei Funakoshi Gichin. Karate training itself has numerous benefits from both a physical and mental perspective and is suitable for people of all ages and either gender. The mental (psychological) aspects of karate training are sometimes underrated as just the act of participation for an hour or two can wipe away built up stress and even anger very quickly. We are a member of WSKFinternationally and as such are part of a strong 90 member country organisation. We are also a long time me mber of the Australian Karate Federation (AKF) which is the only government recognised and funded karate body in Australia. Being a member of AKF also means we are part of the World Karate Federation which is the governing world body of karate and the only organisation recognised by the International Olympic Committee. Being affiliated to these organisations means that we have an avenue to participate in the 2020 Olympic games in Tokyo where karate will be a recognised sport for the very first time . . . “The K is on the Way”. Currently we have clubs in metropolitan Perth, country Victoria and Sydney and each club is taught by experienced instructors who have been members of WSKF for many years as well, all instructors comply with Working With Children and full Police Clearance requirements. 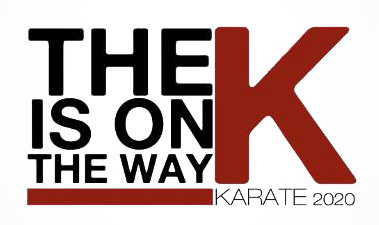 All clubs welcome new members – whether those with past experience in karate or beginners – and check the club directory on the top menu to find your nearest dojo. “We, Karate exponents, training in the art of World Shotokan, firmly reject all forms of prejudice and discrimination. We hold no position . . .